AquaNEX addresses the challenges of WFD application and water resources management in the CB area. Albania needs to apply the WFD to enable water resources protection and sustainable management, and also support its accession to EU. Greece needs to update water quality monitoring networks to better serve the WFD and enhance resources management efficiency in the CB region. The overall AquaNEX objective is to enable joint sustainable water resources management in the CB area and enhance its efficiency within the WFD with the application of advanced water monitoring tools. This is accomplished by ensuring technical compliance of CB Albania to WFD; paving the way for harmonizing national Albanian legislation to WFD (Water Framework Directive ; and updating water quality monitoring systems in pilot areas with innovative technology while further applying WFD. The project’s added value is enabling comprehensive water resources management in Albania resulting from legislative harmonization to WFD and generating long-term improvements in pilot areas. Sophisticated datasets produced by advanced water monitoring infrastructure and services will be valuable input for future water, land and wastewater management and research further enhancing sustainability in the CB area and attracting investments in agriculture and tourism. Project main outputs are: river basin identification for Albania, surveillance monitoring guide for Albanian water bodies, water quality monitoring dataset for pilot areas, satellites images library, high resolution elevation model , soil characteristics dataset, geodatabase, soil hydrophobicity model , standard methodologies guide about priority substances, e-platform development, training seminars, guide for harmonization of Albanian legislation to WFD, guide linking earth observation tools to WFD, and public engagement actions. 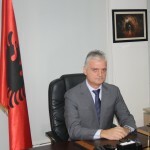 All Albania residents will benefit from promotion of legislative harmonization to WFD. Local communities in pilot areas will benefit from quality of life increase, and economic development in the sectors of agriculture and tourism, as water quality monitoring systems proposed by AquaNEX will enhance sustainable resources management. Regional authorities and stakeholders will acquire know-how leading to further sustainable resource management efficiency. AquaNEX is based on NEXUS approach of intergrading water, energy and agricultural production at the watershed level to optimize agricultural productivity and ecosystem services. CB border approach ensures know-how transference among beneficiaries, as each one is differentially capable of applying the WFD and establishes communication among stakeholders enabling similar problem solution for the duration and after the completion of the project. Progressive management approaches and innovative technological tools never before used in the CB area will be applied in two pilot basins, with the purpose of improving water monitoring efficiency and increasing resource sustainability. National Agency of Natural Resources coordinates the work of all branches of the Energy, for areas focusing on key elements community acquis, aid state, industrial property rights, free trade agreement, consumer protection and market surveillance legislation trade associations, regional development, energy, industrial policy, (SME) etc, the implementation of the Stabilization and Association Agreement. Mission of the Agency is the promotion of the safe, environmentally responsible and efficient supply and use of energy in all its forms and applications, for the best benefit of the Albanian society as a whole.